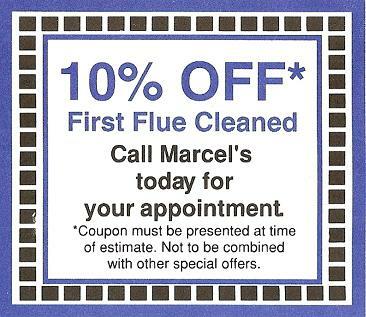 Chimney - Marcel's of New England Inc.
What could be hiding in your Chimney? residential clients as well as commercial. The objective is to provide quality service that is safe, affordable, and effective. We also offer chimney anti-creosote services; removing the creosote from your household/commercial chimney or wood burning fireplace. Have you ever looked up into your flue? Why not give it the chimney sweep's check? Look up into the flue from the bottom and, if possible, the top using a trouble light or flash light. If you see 1/8" of crusty black or blackened deposit or even 1/16" of smooth, shiny, or tar-like deposit, it's time to consult a professional. 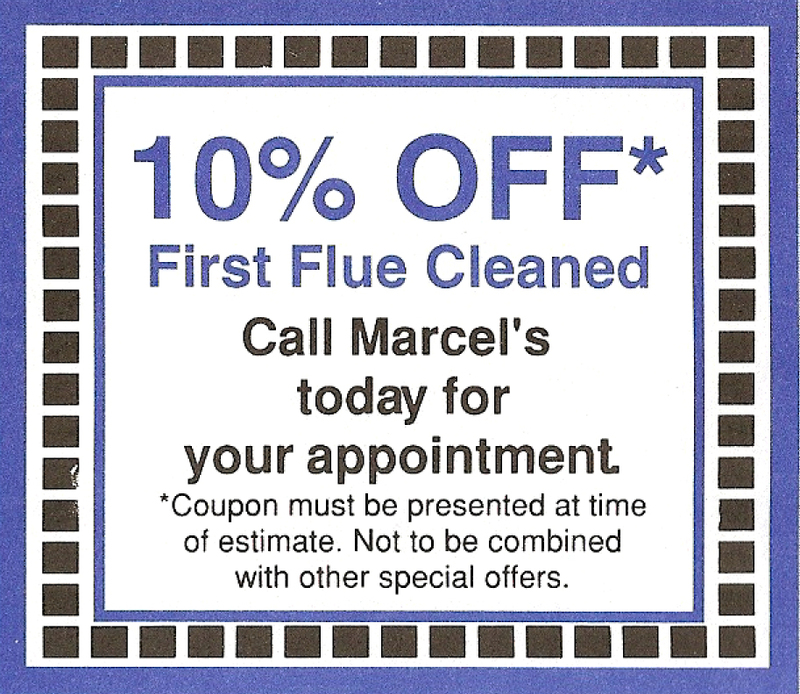 Marcel's Chimney Cleaning is a certified chimney sweep company who has the knowledge and skill to design and perform the needed changes. A safe-and-sound heating system will pay off in comfort and security all winter long. If any of these factors are questionable you need the service of a competent professional. © 2017 Marcel's of New England Inc. All rights reserved.